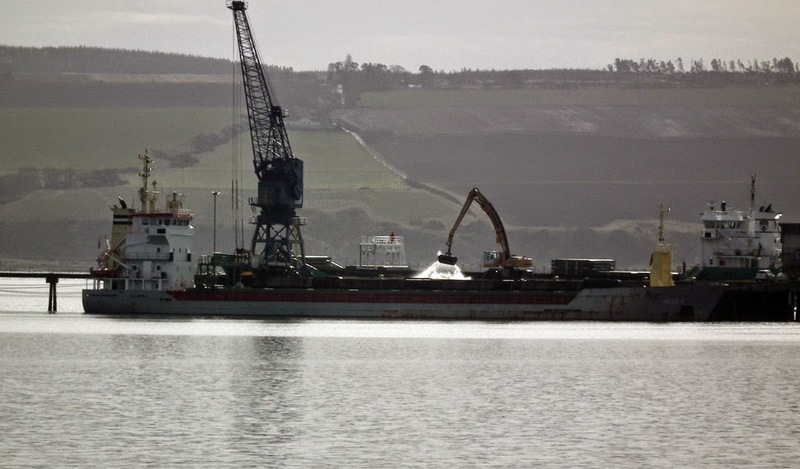 SD Omagh inbound for Faslane 27 February 2015. 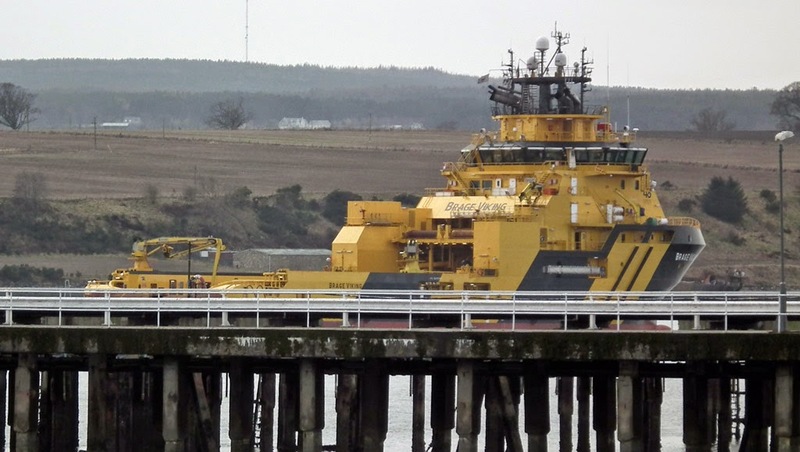 Multicat Challenger of Leith inbound for Roseneath 27 February 2015. 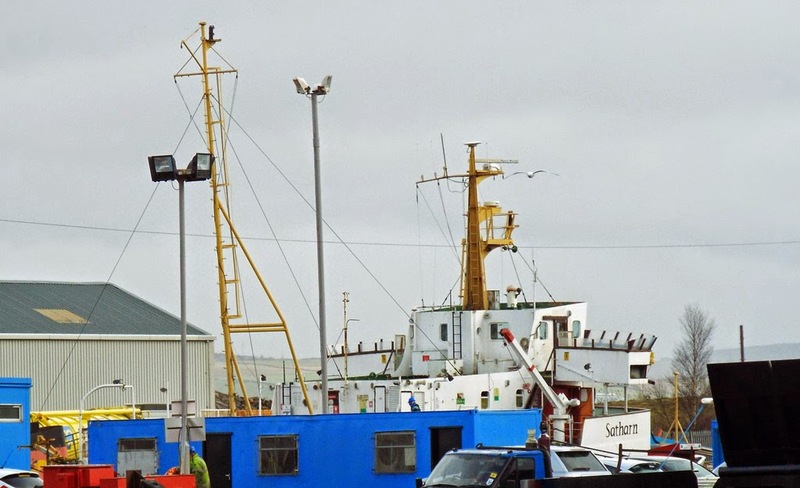 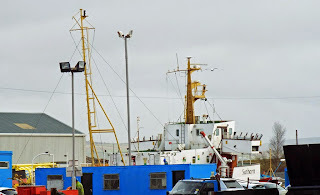 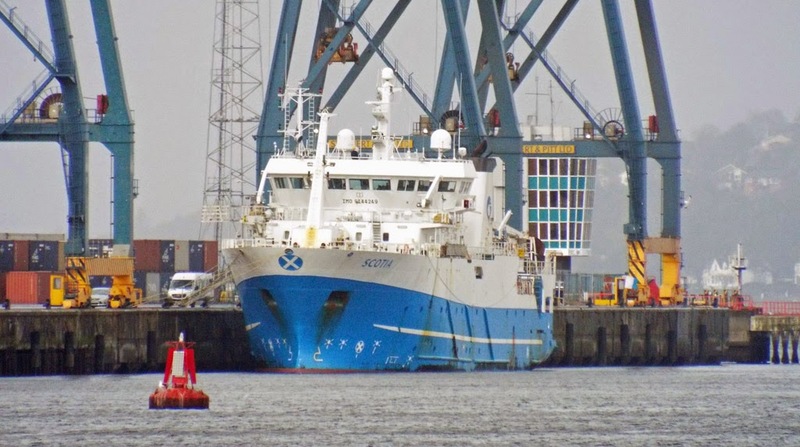 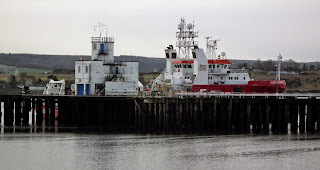 Fisheries Research Services' survey vessel Scotia lying at GOT 27 February 2015. 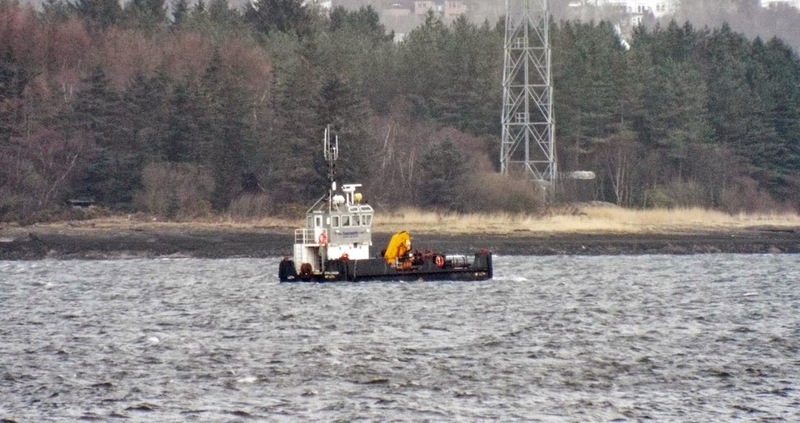 Briggs' Kingdom of Fife back on the Clyde 27 February 2015, after giving assistance to Lysblink Seaways which ran aground off Ardnamurchan. 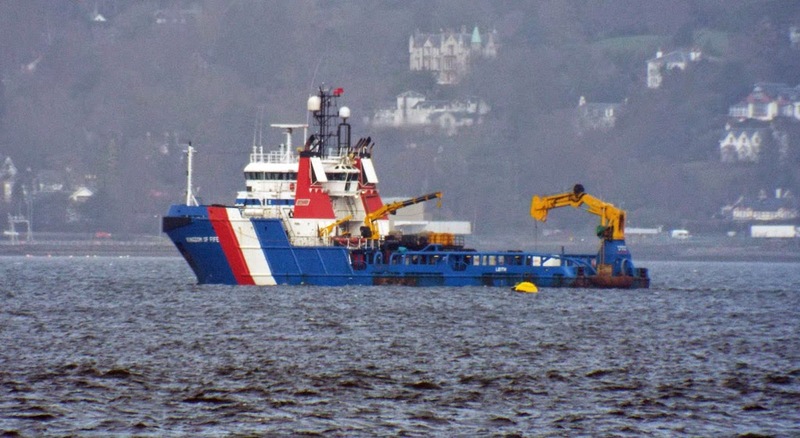 A sight I never thought I would see again! 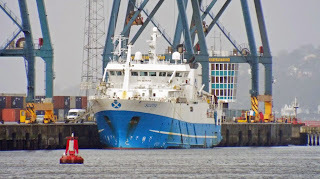 Saturn undergoes work in the Garvel 27 February 2015, following purchase by Pentland ferries for use as a "cargo ship". 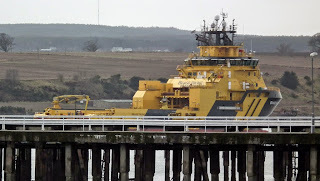 Lang may her lum reek! 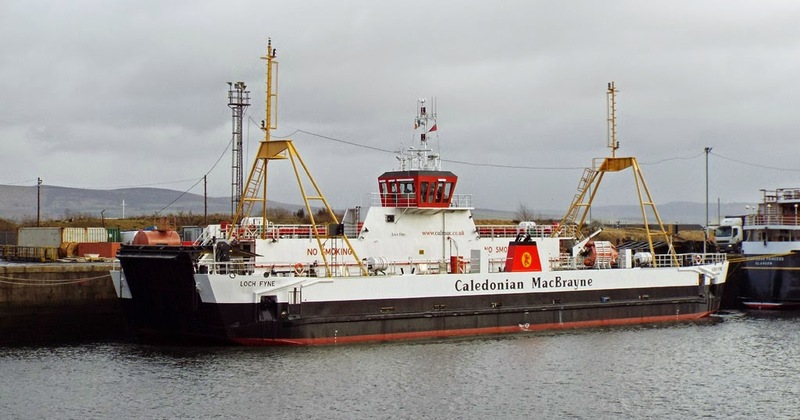 Islay ferry Finlaggan completes annual overhaul in JWD 27 February 2015. 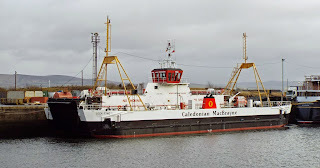 Caledonian Macbrayne's Inner Hebridean ferry Loch Fyne in JWD 27 February 2015. 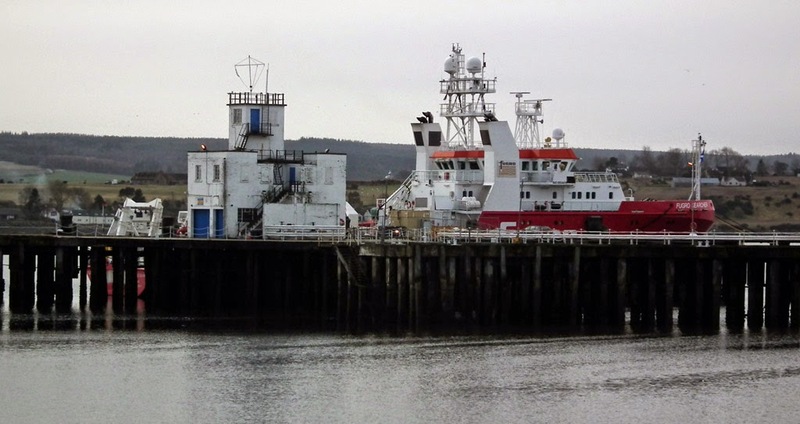 Support vessel Fugro Galaxy at the Admiralty Pier, Invergordon 25 February 2015. 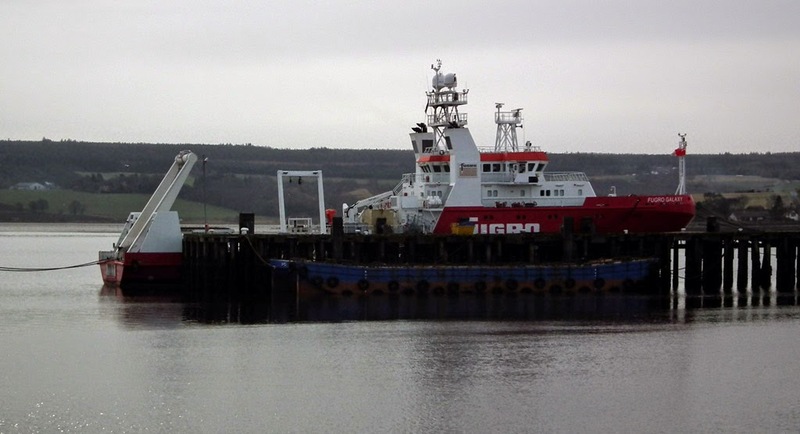 Support vessel Fugro Searcher at the Admiralty Pier, Invergordon 25 February 2015. 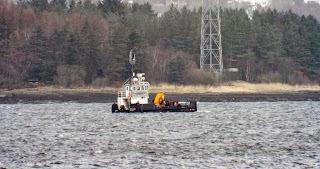 Support vessel Brage Viking on the Cromarty Firth 25 February 2015. 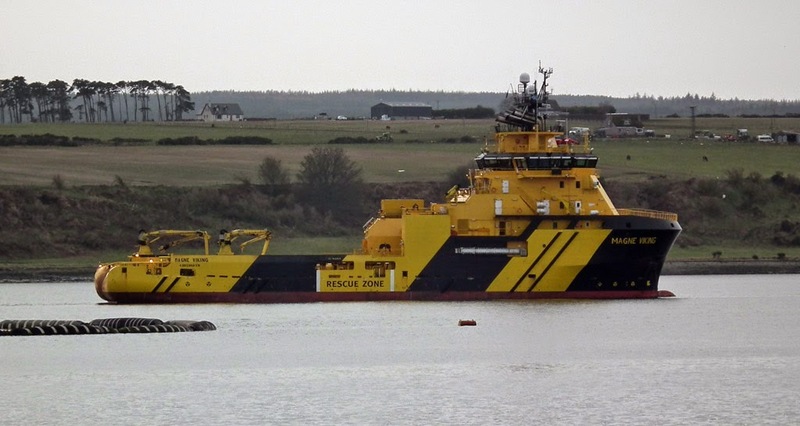 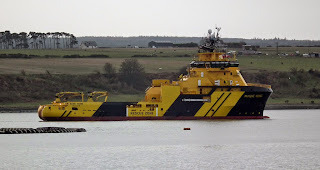 Support vessel Magne Viking on the Cromarty Firth 25 February 2015. 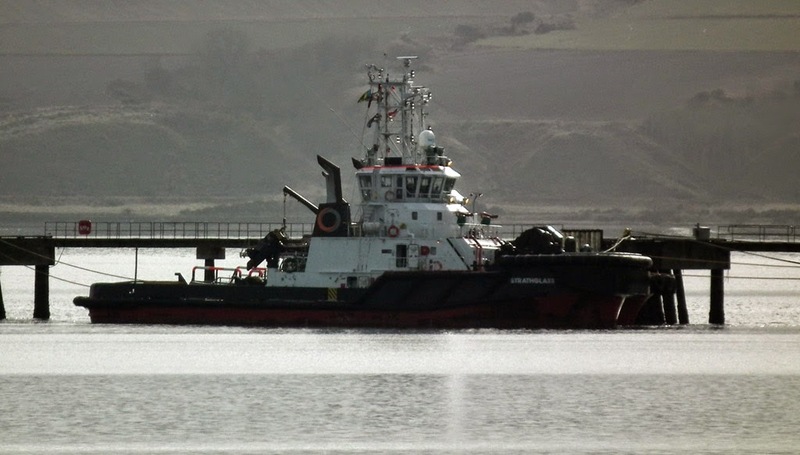 Tug Strathglass moored at Saltburn Pier 25 February 2015. Coaster Nicola unloads at Saltburn Pier 25 February 2015.